I can now set the two double-welted pockets. 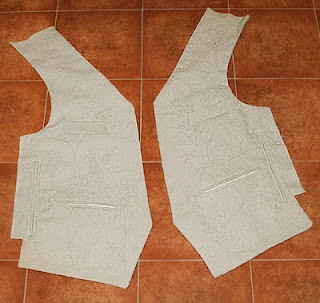 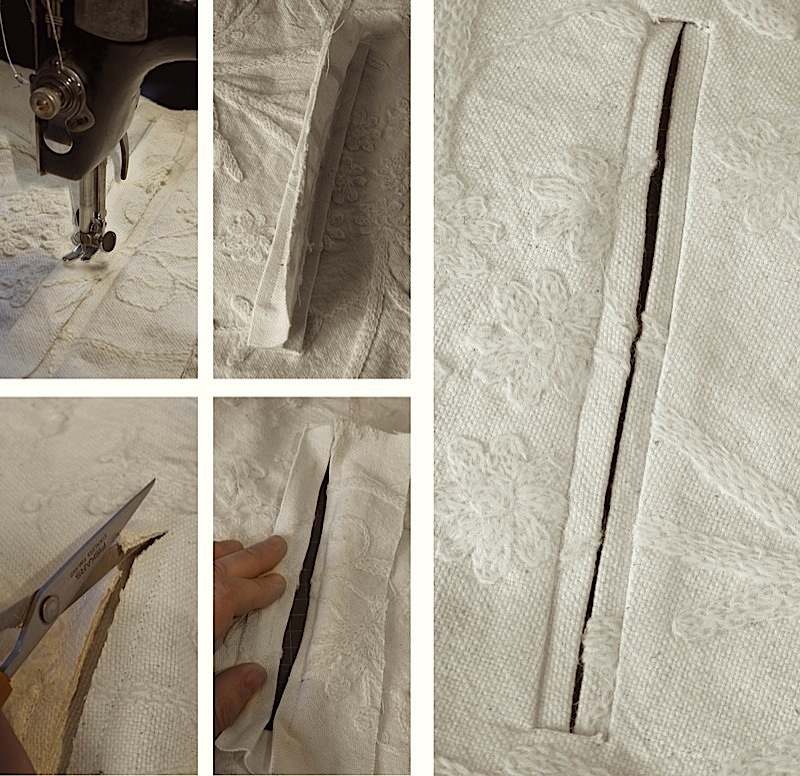 First I prepare the welts by pressing two hard parallel lines along a strip of fabric; this is then sewn in place on the right-side of the waistcoat fronts with two carefully positioned lines of stitch; when this is slit between them, and turned to the back, it forms the visible welts. to the back of this is attached the pocket bag. 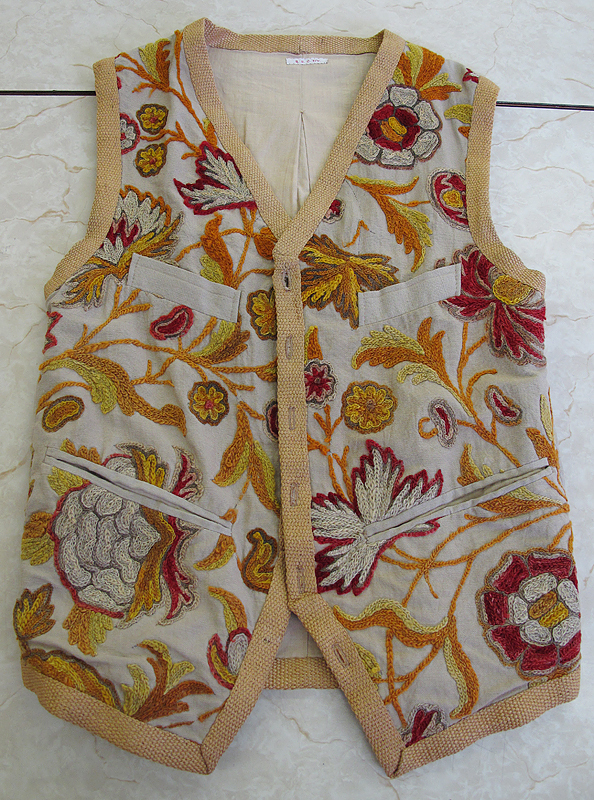 The breast pocket is a little more complicated, with a large single welt. 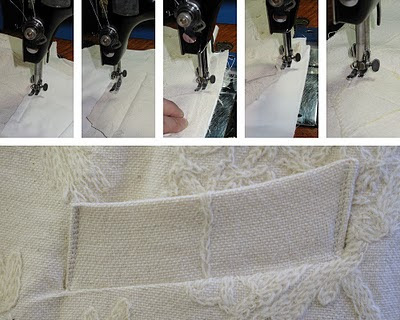 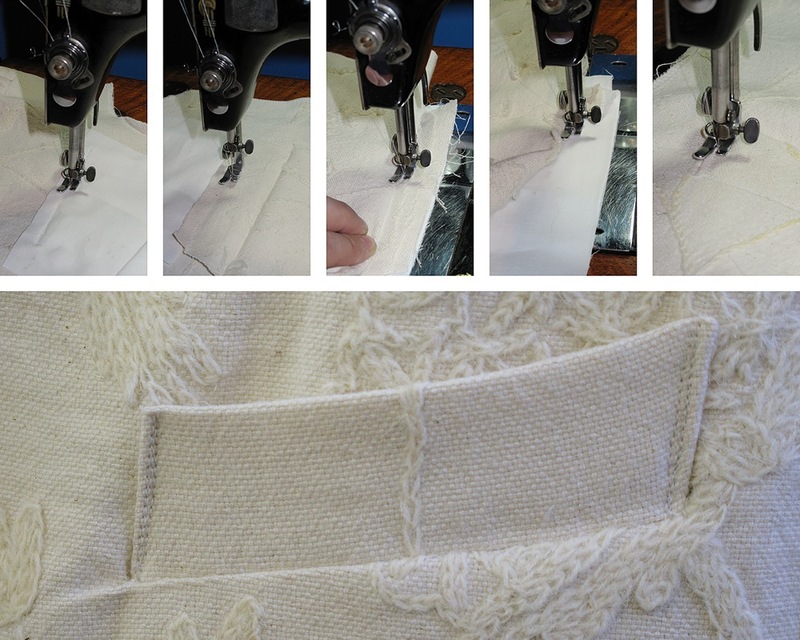 First the pocket lining is sewn in place (see above, far left) (there is no upper welt for this pocket design); below it is sewn the welt flap (see above, left); this is then clipped and the un-trimmed edges are turned to the back, leaving the welt to disguise the pocket opening; the edges of the welt are folded and top-stitched in place (see above, far right), before the raw edges are trimmed as tight as possible (see below). 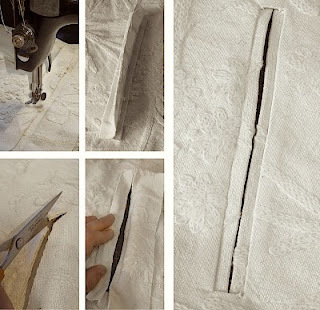 Inside the layered pocket bags are stacked so they do not interfere with each other and your hands can slip deeply into them. 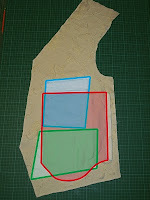 See left: blue breast pocket, red vertical pocket, green horizontal pocket. 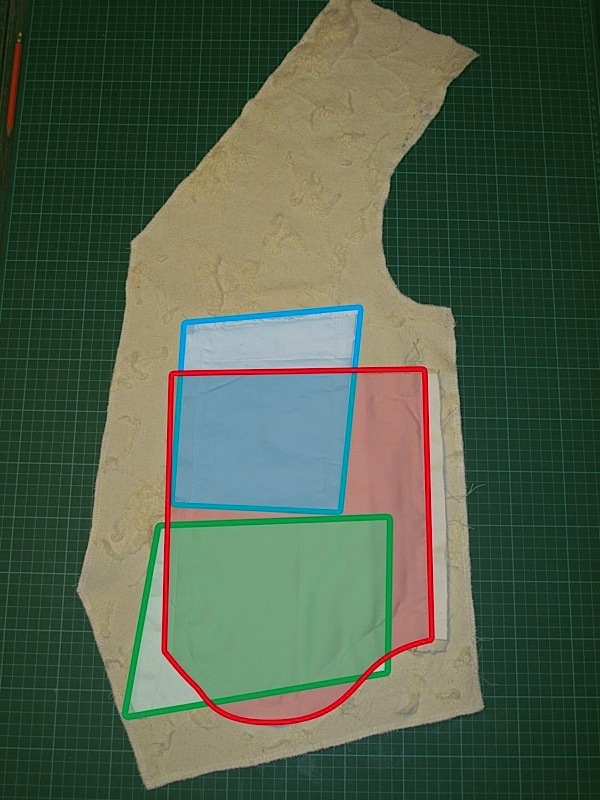 I can now line the fronts by simple stitching the lining right-sides together and sewing around the bottom, front and under arm edges only, turning it right-sides through the left open side seam (see right). 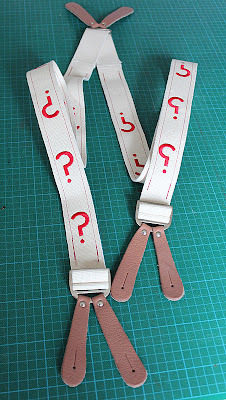 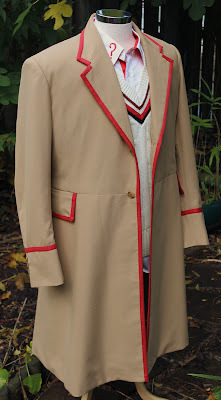 Tomorrow I will go onto the back, before assembling the waistcoat.